Silently as I sat at the quiet cafe and lounge, with the soothing music playing in the background, working on each stroke and taking a step back to glance at my painting every now and then, I felt the surged of a sudden feeling of peace and amazement. 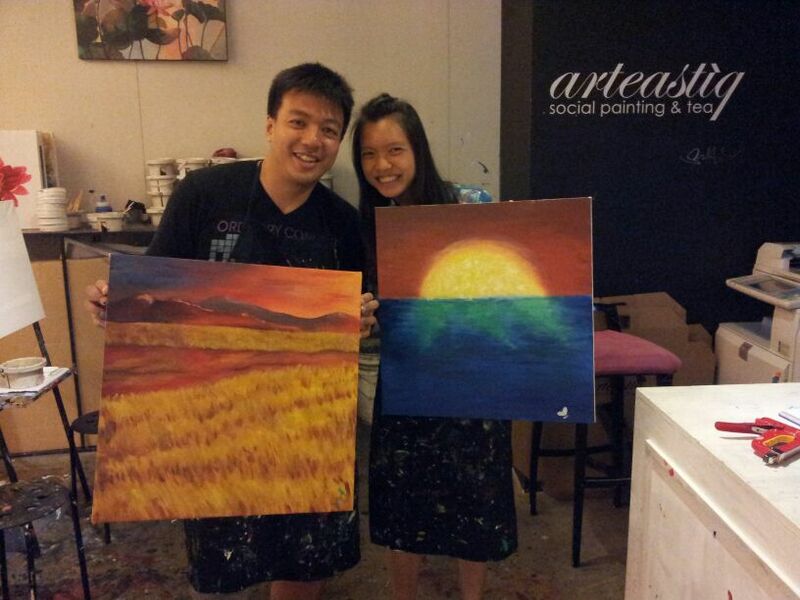 So we decided to take leave and go do up some painting. ARTEASTIQ was a nice and quiet place that provided art jamming and tea. It was a fruitful day as Sophia and myself spend the afternoon painting away. Focusing on the canvas and the paint, something which I had not done for so long. 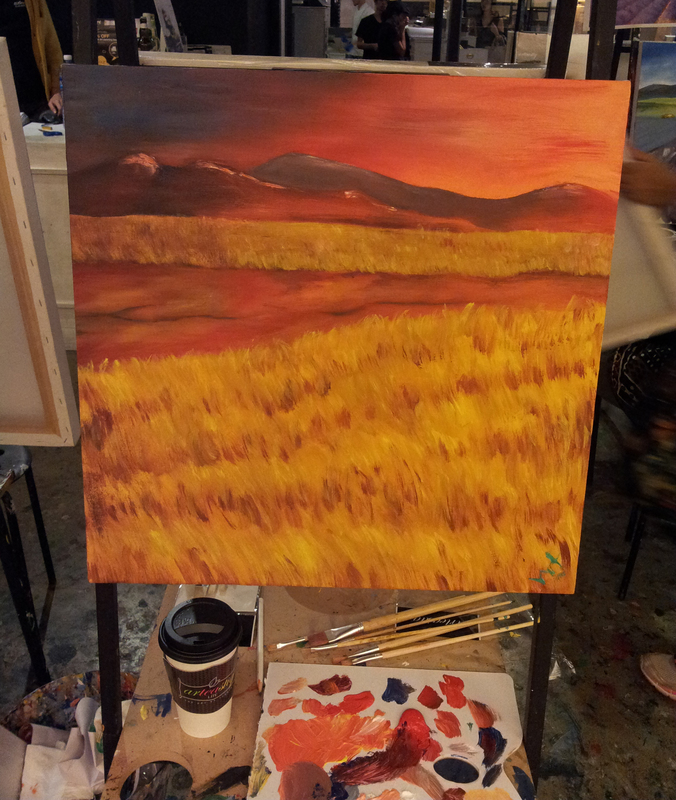 With the soothing music, calming tea and great company, we finished our art works that afternoon. Feeling satisfied and relaxed from the great therapeutic session.